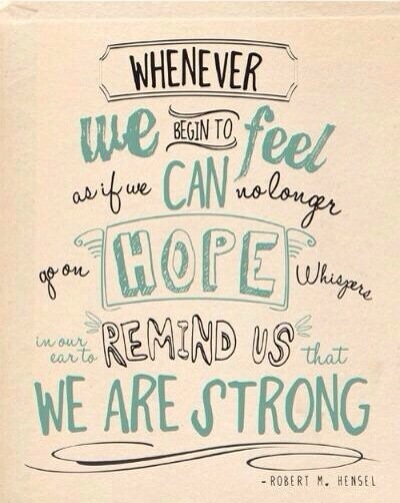 Hope is something I think that we should all try and hold onto. The very nature of OCD can try to diminish any glimpse of hope that we might have, but we mustn’t let it. The hope that we will beat OCD, the hope that we will be free someday and the hope that we can do this! We must all hold on because things will get better. It doesn’t matter if you just need to cry, scream, or just take a break because things can improve. There’s support out there that will enable us to do so. It’s hard in the moment to tell yourself this, but sometimes I think that it’s the key. I’m 14 with OCD. It’s nice to find people with similar experiences.